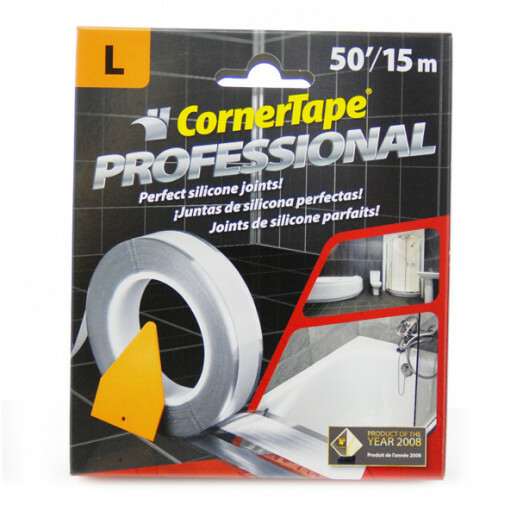 CornerTape is a tool that ensures simple masking of corners before applying joint filler/silicone. The masking will be straight and parallel and the gap between the corner and the tape will be the same on both sides. The joint filler/silicone is then simply and cleanly applied in the set gap of the tape. Follow video links found on the package demonstrating how easy it is to get a perfect and professional caulking job done.